Moving to a new home is an important step in every person’s life. Moving to a new place with your spouse is even a more important one. You are going to live together like a real family, share the same place, the same budget and take all decisions together. 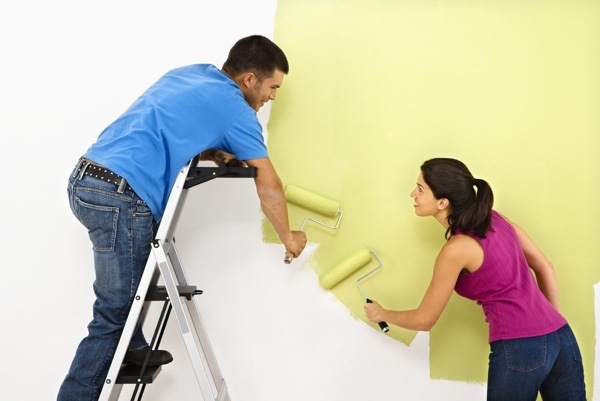 Although it is often underestimated decorating your first home together is a very important stage in your relationship. Research has proven that when you are decorating your place together your relationship is more likely to grow stronger and unbreakable. Here are a few decorating ideas that will help you make the first place you live in together a real home. Forget about the words “you” and “me”. What matters now is “we”. Remember, this is a home for both of you, so both of you have to make the decisions when it comes to how it should look like. Take into consideration not only your wishes but also your spouse’s. This rule applies practically to everything – from the arrangement of furniture and all other items to the colors of the walls and the carpet style. It is very likely that after you have moved into a new place W1 you are a bit short on budget. Especially in case you have purchased the house or the apartment. That is why it is a good idea to consider buying some of the items you are going to need to decorate the place in second hand stores. If you get rid of the prejudices that most people have towards that type of stores you will be surprised of how many useful items you can find there especially in terms of furniture and decoration. You can wonderful cushions, curtains, vases and even sets of plates and glasses there. Remember, second hand does not necessary mean low quality. If you purchase all of the decorating items at once it is very likely that it will seriously affect your budget. Speak with your spouse and decide what budget you can spend every month on items that will help you make the place more comfortable and cosy. This is a very cheap yet efficient way of making a place feel like home. Place pictures of you in every room – you can put them on shelves, hang them on the walls, etc. All that you need is a beautiful frame and you are done. And the best thing about it is that they will not only make your place a real home but will remind you of pleasant moments spent together. We love decorating our house, thanks for these tips! We’ve been married nearly ten years and I have JUST started putting photos up. It really does make a difference! I love finding good deals at the thrift store! I’m terrible at decorating, really, really terrible. I finally posted photos on Houzz and begged for help! We are doing our bathroom right now! We were so poor when we first got married, but somehow I managed to decorate our house pretty nice. These are great tips, especially the one about checking out second hand stores. You can find some amazing deals that way. thanks for the tips. I’ll try to remember these. My husband and I have COMPLETE opposite tastes so it’s really hard to agree on a style. I love the idea of getting second-hand furniture. WE recently found a great solid wood dresser that my father-in-law refinished. It’s absolutely beautiful now. Decorating is so much fun! We have lived in our house for three years & are yet to put up a single picture of us. It drives me crazy, yet I still don’t hang them! Craigslist is also a great place to find deals. what great tips. thanks for sharing. You can find some great steals at second hand shops. I have always loved that my hubs and I have similar tastes in decor. Thanks for the tips! I am currently worried about decorating on a budget.